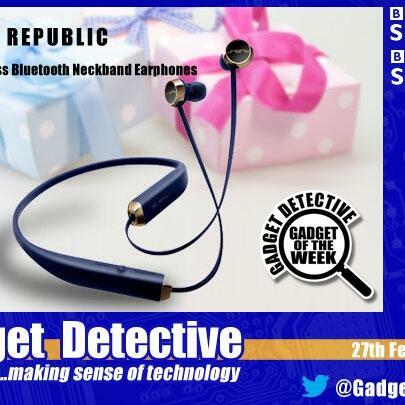 Gadget of the Week is the Sol Republic Shadow Wireless Bluetooth neckband headphones. Offering 8 hours' play from a single charge, these headphones are comfortable, sound great and scored a respectable 4 out of 5. Listen in for more details.